The Watchmaker’s Apprentice – the story of the late Dr George Daniels and his apprentice, Roger W Smith – has had a succession of successful screenings at film festivals, both in the UK and United States. Most recently, the documentary was shown at Birmingham City University (home to the UK’s only Horology BA-Hons Degree), in association with the Antiquarian Horological Society’s newly formed Wristwatch Group. Narrated by John Rhys Davis, the film contains the last interview given by Dr Daniels, shortly before his death in October 2011. The film had a strong effect on me even before it was finished: a series of six small words that Dr Daniels used to describe watches in the trailer inspired a series of ‘blog posts. I have already seen the film, and thoroughly enjoyed it; it’s a very touching look at the relationship between these two friends. I am, therefore, extremely happy that The Watchmaker’s Apprentice will be released on Monday 21st September through Bulldog Film Distribution. At the moment, it appears that only the single disc DVD is available but that might just be a mistake on Amazon, as the photo is the same as the DVD I’ve already purchased. Disc one has the documentary, a workshop tour, a piece on the GREAT Britain watch by Roger W Smith, and Michael Clerizo discussing Daniels. The second disc contains the soundtrack to the film. However, there was a chance to win a copy of the Special Edition DVD (see photo below), thanks to the kind people at DAM Productions [competition ended at 1100 on 21st September 2015 and was won by @ArghZombies]. I have been told that DAM are in the process of negotiating a release in America and the rest of the World in the coming months. In the meantime, should you be based outside the UK, they have a few limited edition DVDs still in stock (link). If you don’t win, or read this post too late, the DVD is available on Amazon**, as well as for digital download. **other purchasing options may be available. Disclaimer: while the competition element of this post is being provided by a third party (DAM Productions via Organic), no further incentive has been accepted. 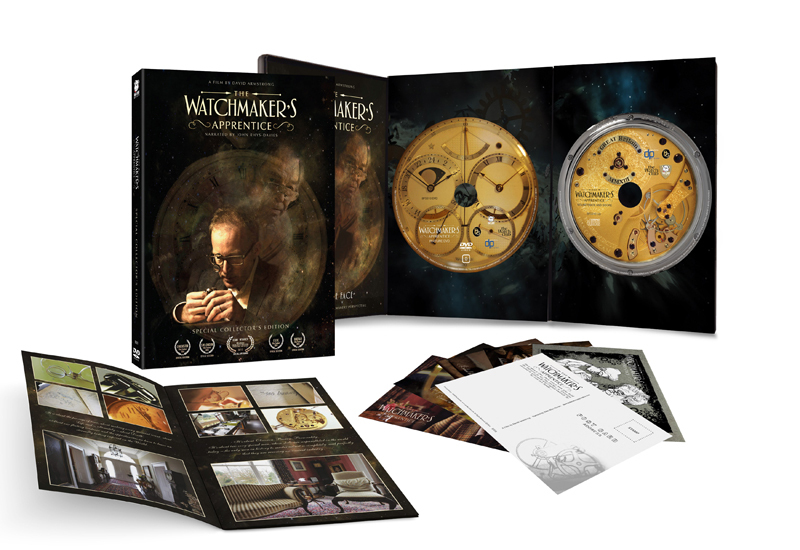 The #watchnerd purchased two copies of the Special Edition DVD in December 2014. This post was amended on 21st September 2015.